The Evergreen Plainsmen had their chances. Rallied to take the lead, in fact. But Heritage would get the Plainsmen in the final minute. This one hurt, and it might continue hurting for a while. Evergreen was that close. Interestingly, that hurt might be a help. The Plainsmen should remember what this one feels like. After all, a year ago, Evergreen lost by 24 points against this same team. This year, Evergreen had a lead in the closing minutes. That will be the rally cry the rest of the season for Evergreen. They know how to battle. The Plainsmen were down 14-0 and took the lead. Now they have to find a way got the win. “What I took away from it more than anything, these kids aren’t afraid to compete. They’ll compete hard. That’s all you can ask of them,” Hyde said. “It’s the first game. Lot’s to learn and lot’s to build on,” he added. 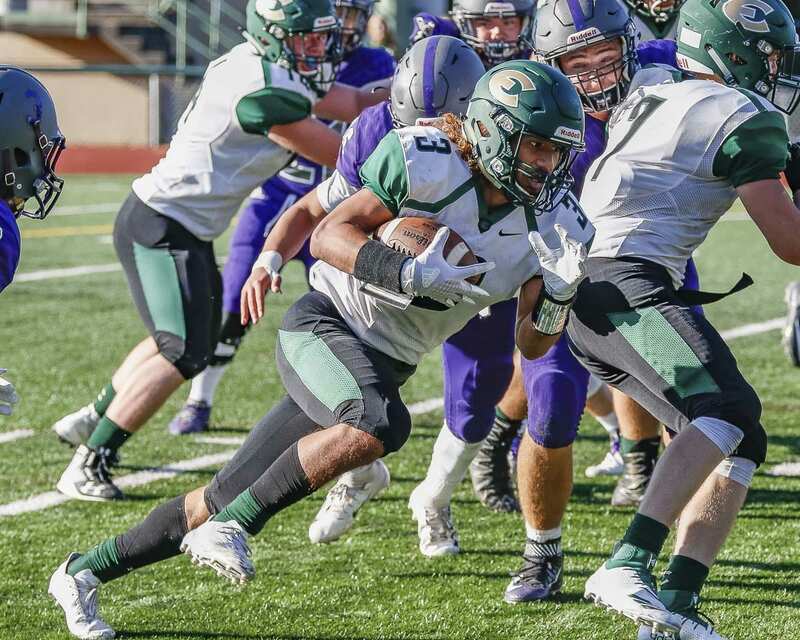 Eli Vaa-leiataua was having the game of his career before leg cramps took him off the field. The running back had 184 yards on 22 carries. Defensively, Hyde praised the play of outside linebacker Rayn Preston. Evergreen held Heritage to 68 yards rushing. “That’s a win for us,” Hyde said. Zyell Griffin had a big pass-defense on a third-down play. Gedeon Macabeo and Tren Hemann each had tackles for loss among the other Evergreen defensive highlights.